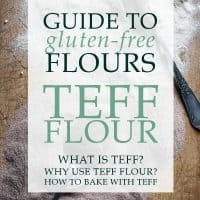 This is the fourth chapter in our series on gluten-free flours and here I shall be bringing you the delights of the incredibly useful tapioca flour. Tapioca is a word which drums up all sorts of bad memories of school dinners. Congealed bowls of frogspawn with zero flavour anyone? It’s probable you won’t have had much use for tapioca as an adult, having been thoroughly convinced of its dire status as a youth. However, I very much sing the praises of tapioca, even the tapioca pearls which make up the fearful frogspawn, you may have met them more favourably in Boba Tea or when making a fruit pie or crumble (see this Strawberry Gooseberry Crumble). But for our purposes here I’m going to convince you of another fantastic member of the tapioca family. Tapioca flour. Tapioca Flour is also known as tapioca starch and is a light powdery flour ground from the dried starchy and tuberous root of the cassava plant which is native to South America. Tapioca flour is slightly different to cassava flour itself in that it is extracted from the starch of the cassava root whereas cassava flour is made from the entire root so is less processed. However, tapioca flour is much more accessible in the UK and is the flour I use on a day to day basis and will be focusing on here. There is no protein in tapioca flour as it is a starch, like potato flour or cornflour. You can get the most out of tapioca flour in your baking by mixing it with whole grain or nut flours. A little goes a long way so it is used judiciously in my baking but its role is by no means insignificant. 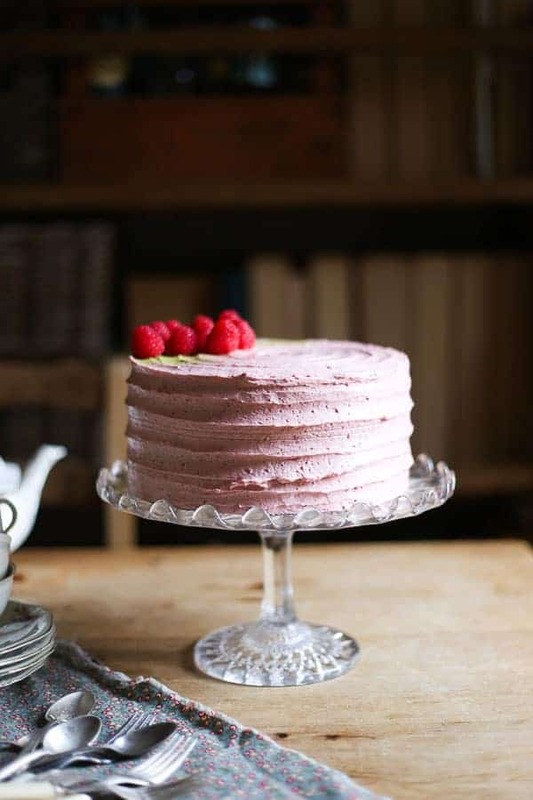 I have used in within my gluten-free flour blend in this Raspberry Matcha Cake to aid the moistness of the cake and to create a lightness in the sponge. Along with sweet rice flour and oat flour, tapioca flour is the gluten-free flour I use most often. I have an Amazon subscribe and save order set up to deliver me 1kg every month and quite often I exhaust my supply well before my next delivery. 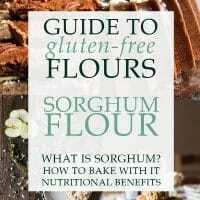 I use a little here and a little there in my bakes and when making sauces so although it is a flour you may use often, you rarely need vast quantities of it. The main benefit of tapioca flour is its thickening properties, due to the fact it absorbs and retains a high water content. When we remove gluten from our baking then one of the crucial elements that we lack is the binding properties of the gluten. Tapioca flour (similarly to sweet rice flour) is one of the ways we can mimic this binding and create bounce in our bakes. 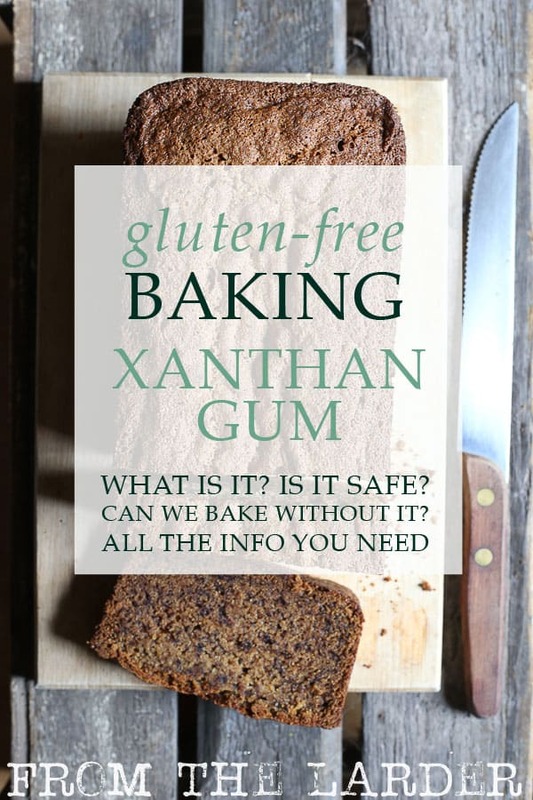 It saves our cakes from being a dry crumbly disaster. Like cornflour, another gluten-free starch, tapioca flour is excellent in thickening sauces and gives a lovely velvety texture. Its slightly sweet flavour is a little more pronounced and gives more of a sticky bind than cornflour. In this Piccalilli recipe I use both cornflour and tapioca flour to thicken just to lessen the flavour of the tapioca but I do like the extra stickiness it gives the sauce. Since tapioca is completely grain-free and made up of nearly all carbohydrates it is a useful flour for those following specialised diets like paleo. I use tapioca flour in this Happiness Bread along with the more dehydrating coconut flour as it’s perfect when I’m trying to cut down on my grains and focus on healthier breakfasts. Tapioca flour, due to its light texture, does promote springiness in your bakes. It also helps the browning of your baked goods and encouraging crusts to crisp, hence it is very useful when making pizza bases or pastry. One of the most renowned recipes which uniquely relies upon tapioca flour alone is for Brazilian Cheese Bread or Pão de Queijo which is inhumanly addictive. When I was testing the recipe for my next post (spoiler!!) I greedily ate whole batches in one sitting. The bread is crisp and golden on the outside and deliciously chewy on the inside thanks to the tapioca flour and really highlights all the best qualities of the flour.